Cara Stacey is a South African musician, composer and researcher. She is a pianist and plays southern African musical bows (umrhubhe, uhadi, makhweyane). Beyond her solo work, Cara collaborates with percussionist and drummer Sarathy Korwar in the project Pergola and is a member of the Night Light Collective, and Inclement Quartet. Her debut album 'Things that grow' features Shabaka Hutchings, Seb Rochford, Ruth Goller, and Crewdson (released in September 2015, Kit Records). Her latest album, 'Ceder', is of her duo project with Peruvian flutist and composer Camilo Ángeles. Cara holds a doctorate in African music, specifically looking at the makhweyane musical bow from eSwatini (University of Cape Town/SOAS). During her PhD, she was an NRF Freestanding Doctoral scholar, a Commonwealth Split-Site scholar, and the recipient of funding from the Oppenheimer Memorial Trust and the University of Cape Town. 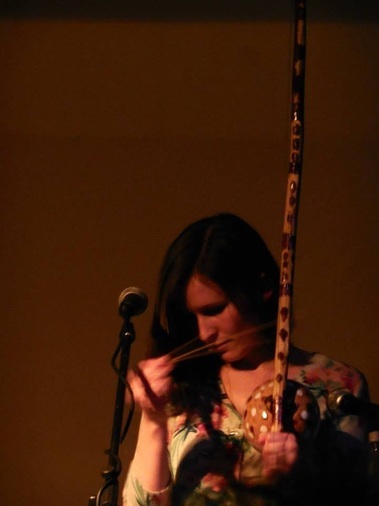 Cara holds a Masters in Musicology (Edinburgh), and a MMus in Musical Performance from SOAS (London). Cara studied various African instruments (makhweyane, mbira, uhadi, umrhubhe and budongo) with Dizu Plaatjies, Khokhiwe Mphila, Bhemani Magagula, Tinashe Chidanyika, Modou Diouf, and Andrew Cooke. Cara is currently a postdoctoral fellow at the University of Cape Town and is part of the project: 'Recentring Afro-Asia: Musical and human migrations in the pre-colonial period 700-1500AD'. She sits on the executive committee for the South African Society for Research in Music and is the International Council for Traditional Music country liaison office for the kingdom of eSwatini. She is based between Johannesburg, Cape Town and Mbabane.